The sleek corner desk provides the perfect spot for doing homework, whilst the hutch provides additonal storage space. Push-to-open doors come in a choice of white, pink, purple, blue and grey. The chair bed folds up to provide comfortable seating during the day, transforming into a comfortable pull-out bed at night. The clever wooden slat system allows for easy extension of the bed, and together with the blue hinged foam cushion set, offers a supportive and comfortable sleeping surface. 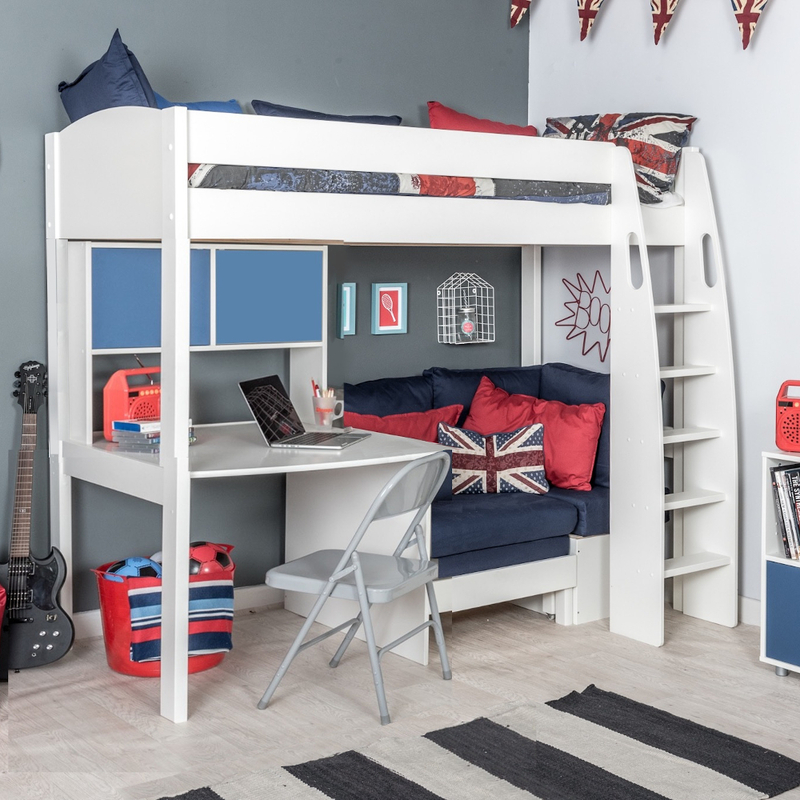 Includes Uno S Highsleeper with blue Corner Sofa Bed, Fixed Desk and Hutch with 2 blue doors.